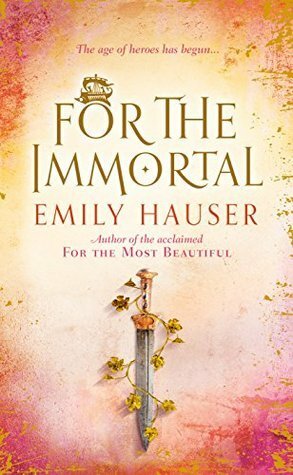 I came to For the Immortal without having read the first two books in the series, but that didn't matter, because it is a standalone story. I loved Hauser's recreation of the well-known tale. She tells it from an intriguing new perspective, and that worked incredibly well. The different narrators all had interesting and unique voices, and I found myself caught up in their personal dramas and decisions. I particularly enjoyed the chapter lengths, which made it easy to pick up the book and read the odd bit here and there when I had time. Occasionally, during the more narrative passages, my attention wavered, but the action soon drew me back in. Actually, one of the things I found most enjoyable was the author's afterword, in which she discusses her approach to recasting the myth. Overall, this is a good read for those who enjoy fairytale and myth retellings, and I give it a solid 4 stars.